Bangalore-based home design and dÃ©cor startup Livspace has secured $8 million in a fresh round of funding from existing investors Helion Ventures, Bessemer Venture Partners and Jungle Ventures. Gokul Rajaram, product engineering lead at US-based payments company Square Inc, also participated in the round, as per a press statement. Rajaram invested an undisclosed amount in Livspace, which is run by Home Interior Designs E-commerce Pvt Ltd, when he recently joined the company as special advisor. Livspace will use the money to scale up operations across metros, enhance design content and technology, augment the team and develop new products. "We are thrilled with the growth that the Livspace team has achieved across all business metrics—user traffic, engagement, product launches, and business traction-in a short period of time. The Indian end-to-end home design industry is large but fragmented. It is heartening to see Livspace emerging as the disruptor and innovator in this category," said Akash Goel, vice president, Bessemer Venture Partners. Livspace enables home-owners to discover thousands of pre-created looks for rooms, kitchen and storage areas. Customers can select and purchase these looks, which are created by international designers and personalise them for delivery on the basis of material, colour, style and so on. 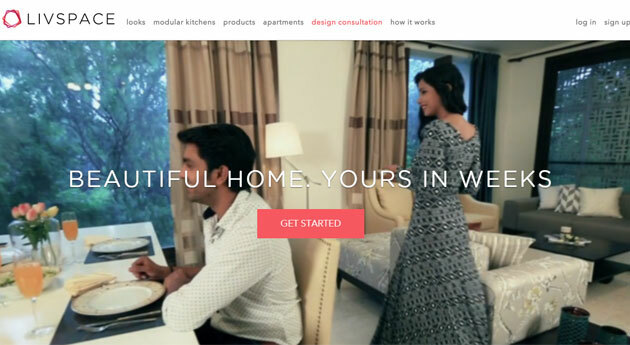 Founded in 2012 by former Google and Myntra executives Anuj Srivastava, Shagufta Anurag and Ramakant Sharma , Livspace had raised $4.6 million (Rs 29.4 crore) in Series A funding from Helion Venture Partners and Bessemer Venture Partners last December. According to Livspace estimates, the online home design market in India is poised to touch $5 billion in five years. "It has been a high octane few months since the launch of Livspace in December 2014. We are seeing strong growth and business fundamentals across the board and have created an enviable content, and community driven commerce business in the home design space for the first time in India," said Srivastava, CEO and co-founder of Livspace. The company bought two startups this year—home design marketplace DezignUp and Dwll.in, a curated online network of interior designers. "We recognised the visionary potential and execution talent of the Livspace founding team early on. In a short period of time, Livspace has created a new category in a large market and are setting the pace in terms of innovative product launches, outstanding growth and design innovation. Anuj, Ramakant, and Shagufta are world class startup entrepreneurs and we're thrilled to be partnering with them as we create one of India's truly admired internet companies," Rahul Chowdhri, partner at Helion Venture Partners, said. According to market research firm TechNavio, the online home dÃ©cor market in the country is expected to grow at a compounded annual growth rate of 50.42 per cent between 2014 and 2019. Livspace competes with other startups such as Intruo, JBR Interio, BedBathMore and Gloob. Online furniture players such as FabFurnish, Pepperfry and Urban Ladder besides horizontal e-commerce majors such as Flipkart.com, Snapdeal.com and Amazon.in also have a strong grip in this space.